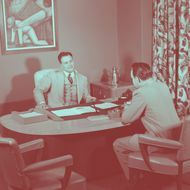 We've seen this before: Most people are overconfident in their ability to get accurate assessments based on a job interview. People whose accountabilities include interviewing and hiring need to stick to a structured interview. People whose accountabilities include interviewing and hiring need to be trained to first determine needs and objectives, then conduct an interview and accurately note responses that are in alignment with those needs and objectives.